Bali culture is incredible and fascinating in many ways. Their traditional philosophy of life is based on three principles called Tri Hita Karana. Those are harmony among people, harmony with nature and harmony with the universe. Promoted through a wide range of beliefs, customs, and traditions, Bali culture is one of the most inspirational when it comes to valuable life lessons. Here are the best ones that have enriched my life. The Eastern part of the world was always fascinating to me mostly because of its spirituality and gratefulness. I always had a feeling they were miles away from Europe when it came to that matter of question. After visiting the incredible Island of Gods, my opinion became even firmer. As people from Balinese culture live by the three principles mentioned above, this results in their deep connection with the universe, spiritual insights, and their inner selves. Hinduism, as the main religion in Bali, has a strong focus on a belief in good and bad spirits, as well as the animism. Because of that, local daily life is still dominated by the rituals. Wherever I went, I spotted colorful little offerings in front of the houses, restaurants, on the dashboards of the cars or placed in the middle of the street. Made from banana leaves and filled with rice, flowers, fruits, and incense, these enchanting offerings are actually a sign of appreciation and thankfulness toward Hindu Gods. I’m told each offering is made every morning from the heart. Inwrought with a special intent and dedicated to the specific god. Therefore their importance is even greater. 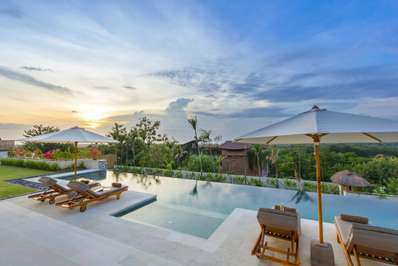 Furthermore, spiritual commitment and holistic way of life are permeated through the whole Bali culture, which is only one part of its beautiful charm. As spirituality is strongly connected with gratitude, I have to admit I have never seen so many humble people grateful for everything they have or have not. Balinese people truly appreciate all the goods they possess. All besides that it’s pure luck or someone’s goodwill. Bali’s culture promotes the idea that non-material things are much more valuable than the material ones. Greed is the worst sin ever. As a friend of mine, Dewa Ketut would say: “If you have something, be grateful for it. If you don’t have it, that is because of the greater reason you can’t see. Be happy for not having it. Everything happens to us at the right moment. We have so many things to learn, to see and to be grateful for”. Right then, when you see someone who has less material possessions but is happier than the other ones who are wealthier, you realize what is the secret of happiness. Gratitude for every day because life is a gift. Appreciate it, as every moment is unique and will never come back. Best seen through their incredible way of life, this is the most important life lesson I’ve learned from Bali culture. There is a special connection between nature and Bali culture. The idea of respect for the environment is deeply embedded through every corner of the island. The locals live in daily communion with the natural forces, which is best seen in their daily rituals. 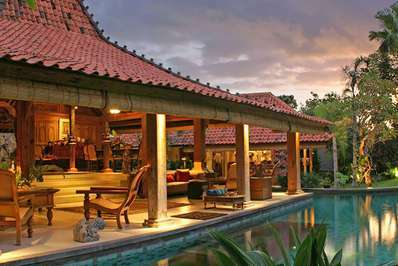 Bali’s beautiful architecture and harmonic way of life only enhance this connection. Water is life’s most important element and the best example that glorifies this is the multitude of water temples. One of the most interesting places to visit and get in touch with the traditions of Bali culture was Pura Tirta Empul. It is a unique water temple dedicated to the ritual of purification through its holy spring water, and it is definitely a must-see. Furthermore, twice a year Balinese people are celebrating equinox as a part of giving respect to Mother Nature. They create colorful ritual offerings to animals and plants, made of frangipani flowers, exotic fruits and burning incense. That is their way of showing gratitude and appreciation. Due to the fact that the lives of locals are based on harmony and joy, Bali culture is very intuitive, which made me realize how much we can learn from it. It made me understand it is true that nature has music for those who know how to listen. As we all know, optimism is one of the most desirable characteristics a human can have. However, Bali culture showed me that there is something beyond that. A positive way of thinking about how everything happens for a specific reason, even when it comes to adversities. Their strong belief in the idea that hard times happen so men can appreciate the good times is truly inspirational. While admiring the customs of this beautiful island, I had an opportunity to enjoy the conversation with the locals. An older man among the group shared with me a part of his rich life knowledge. He said every little thing in life comes for a reason, even if we can’t see it at the moment. People should accept and appreciate those situations, especially when it comes to problems. He gave me an example of his own. As the island is situated on an active volcanic area, fear of eruption surely exists. Still, there is a big difference in dealing with fear. Bali culture taught their people to believe in a good outcome. Respectively, if the natural disaster happens, the land will be more fertile. If you are dealing with personal problems, that is only because after them you will experience better times. The greatest thing of all was seeing those people truly living according to their beliefs and ideas. I have to say I didn’t know how important family relations are to Balinese people until I came to some of the less touristic parts of the island. People here have a strong sense of social responsibility. The links with the extended family members are also very close, which makes their loyalty rewarded with security and reciprocal assistance when needed. Also, there is that great concept of “togetherness”, which can be found in every part of Bali culture. Each celebration is held in a circle of close family members, as well as the extended ones. During the weddings, funerals or any other kind of gatherings, all the society from that specific neighborhood is included. I had an amazing opportunity to be part of a local gathering dedicated to one of the Hindu Gods. Every person had their own tasks. Some of them were responsible for cooking, arranging flowers or decorations and some of them for music. People generously share their goods so it was a real pleasure to see them working together, united as one. And the result was amazing because the whole festival has gone into a beautiful, warm atmosphere with good vibes. Visiting Bali was a precious experience for me. The hospitality and warmth of the Balinese people were amazing. Their deep connection with nature and strong desire to bring paradise to all around them are truly astonishing. They showed me how little is necessary for true happiness. Life among them was kind of confirmation for me. One of life’s most important quality traits is increasingly neglected in the modern world. At the end of the day, I’m coming home with the best memories and the most important life lessons I could have ever learned. Irma is a world traveler always craving for new adventures. Currently based in Europe, she works as a freelance writer. Inspired by different cultures and nature, she is also passionate about photography, ballet and dogs.